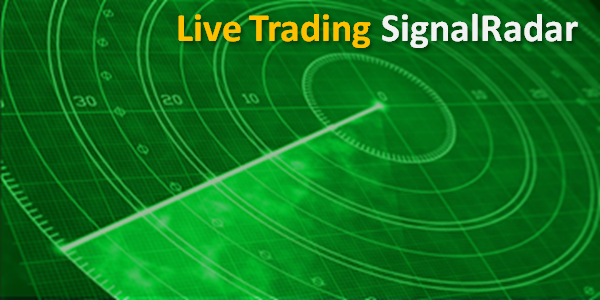 SignalRadar shows live trades being done by a collection of trading strategies. The percentage shown, is the P&L of the open positon. This sample table shows the live trades of 5 trading strategies. The P&L updates in real-time when the markets are open. Click on a live trade for more details. SignalRadar is a free tool in the NanoTrader trading platform.